Who’d have thought that crows would be such thoroughly grateful creatures? 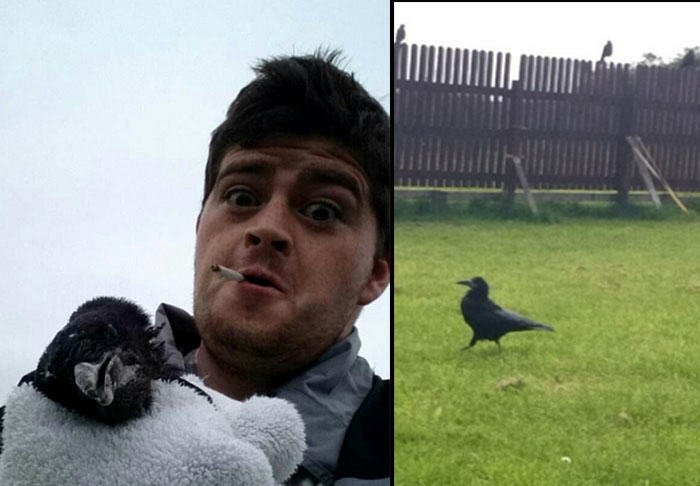 One man found this out in the most menacing way possible after he saved a bird that had become trapped in a fence, and the whole tale was told via Snapchat and Imgur. 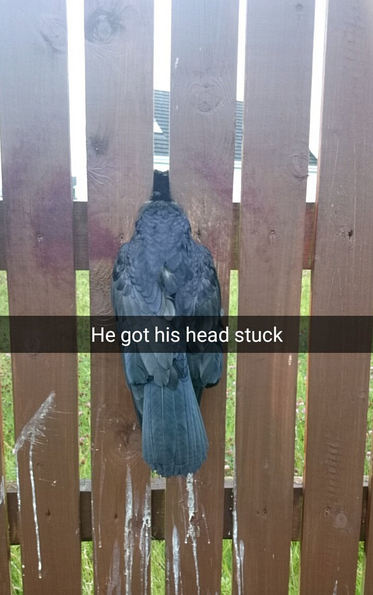 It all started when an unfortunate crow flew headfirst into a fence, becoming trapped by the neck between the panels. 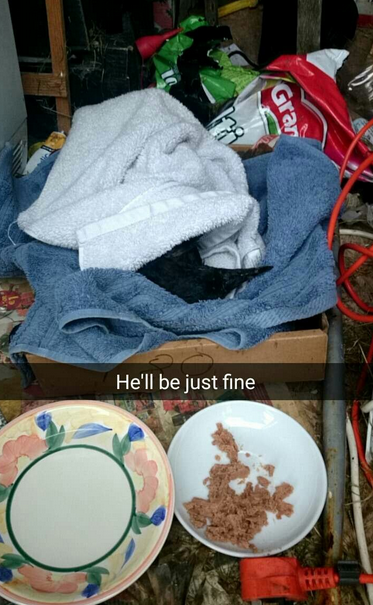 Thankfully the bird was spotted by a kindhearted human as opposed to a hungry cat, and was removed safely. 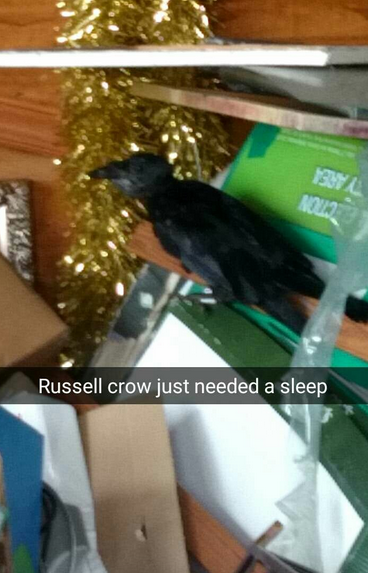 The crow, who was named ‘Russell Crow’, was then given time to recover in a makeshift bed made of cardboard and towels. After some rest and a hearty meal Russell was back on his feet and nearly ready to leave. 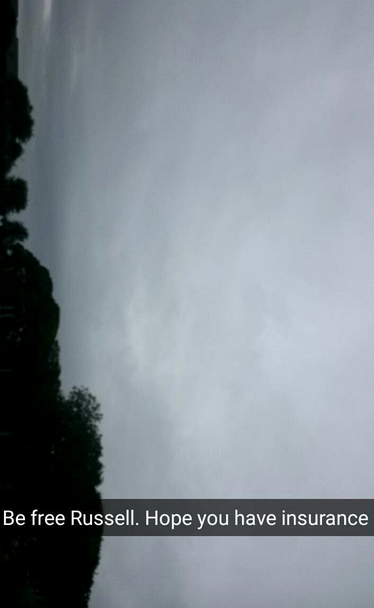 The big moment came and the new friends went their separate ways. 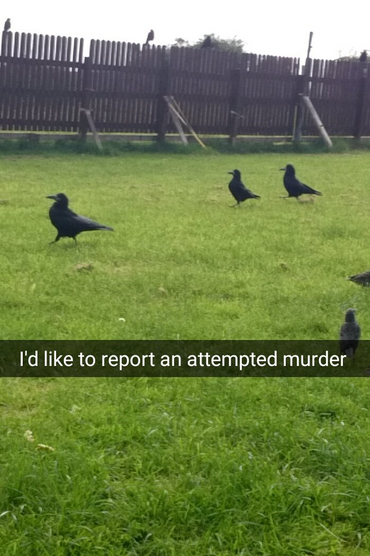 In a scene reminiscent of Alfred Hitchcock’s The Birds an entire murder of crows appears in the same garden. Creepy or sweet, the carnivorous birds clearly have decent memories.